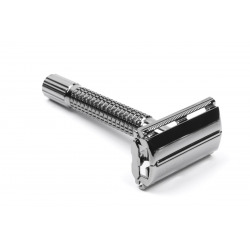 This model is made from brass with a matt-chrome plating. 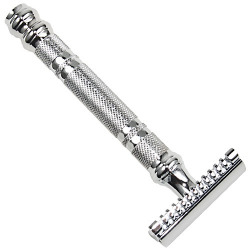 A marvellous masterpiece. This elegant model is made from brass with a shiny black chrome plating. A marvellous masterpiece. 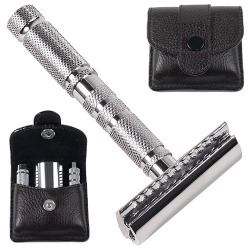 Closed Comb Perfect Travel Companion Non-Slip Grip The Parker Travel Three Piece Safety Razor Set is ideal for when you're on the move. 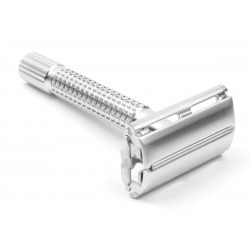 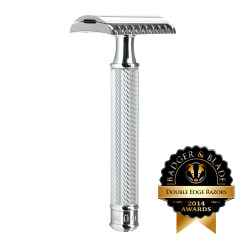 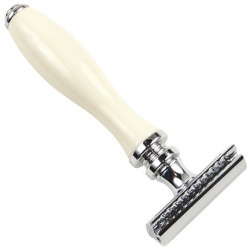 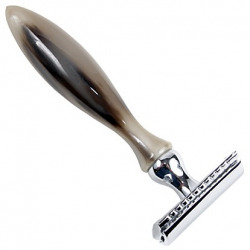 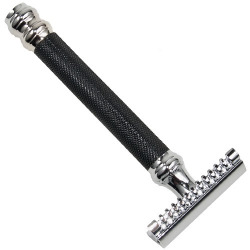 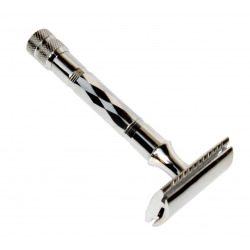 The razor weighs 80g and when assembled is 83mm long.